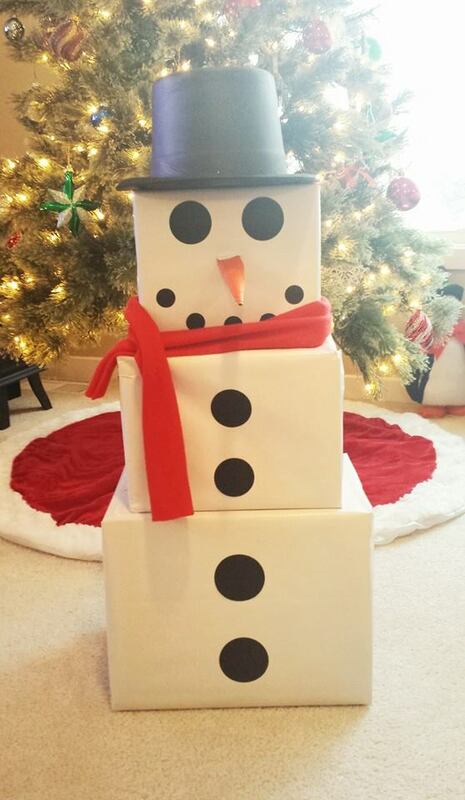 Simply wrap three of your presents in three different sized boxes. Wrap in white paper and add dots for buttons, eyes and mouth. Add fabric red scarf and make a black top hat out of construction paper. Construct a funnel from red construction paper to make his nose. This entry was posted in Crafts ~ DIY ~ Projects, ~Christmas and tagged buttons, eyes, gift, gifts, hat, man, men, nose, package, packages., Scarf, snow, snowman, snowmen, top, x-mas, xmas, ~Christmas. Bookmark the permalink.